“Wonderful exciting music, I would not have believed that music so vibrant, and of such quality would be produced by 8 musicians in Winster village hall. Jazz themes but with folk hints lurking in the background. The music caught the mood and experiences of Derbyshire, from the mines to the morris men. Having run The Strand, a jazz cafe for 22 years, I have heard a great many musicians, and The Jazz Collective definitely deserves a much bigger stage. 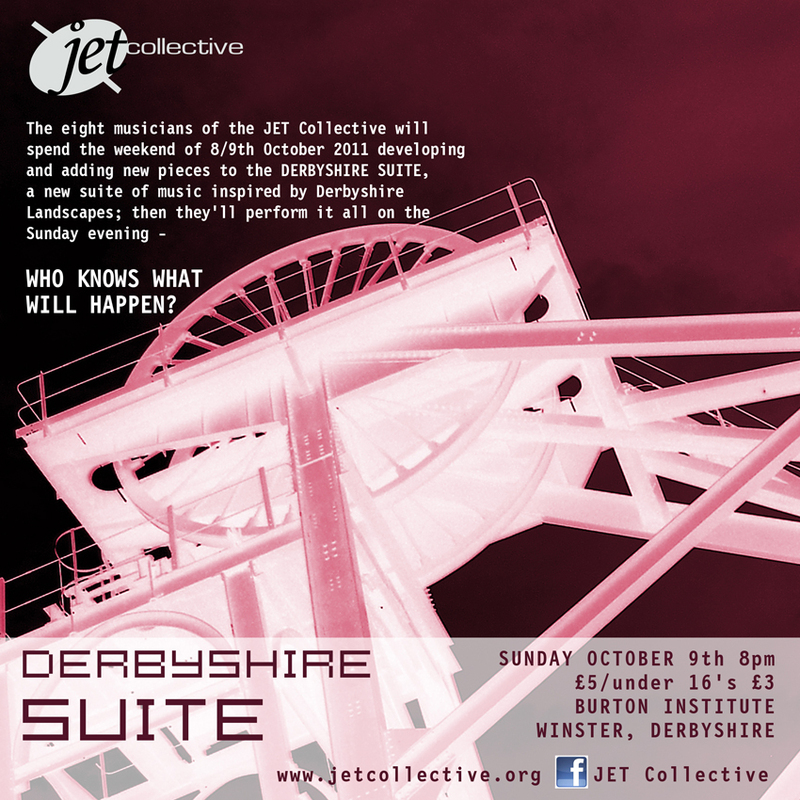 JET Jazz Collective performance of the Derbyshire Suite – Sunday October 9th, 8pm. Sunday October 9th at 8pm. Burton Institute, Winster, DE4 2DQ. Tickets on the door £5, under 16’s £3. On October 8th and 9th the Jet Jazz Collective will spend the weekend rehearsing and creating new music in the Burton Institute. 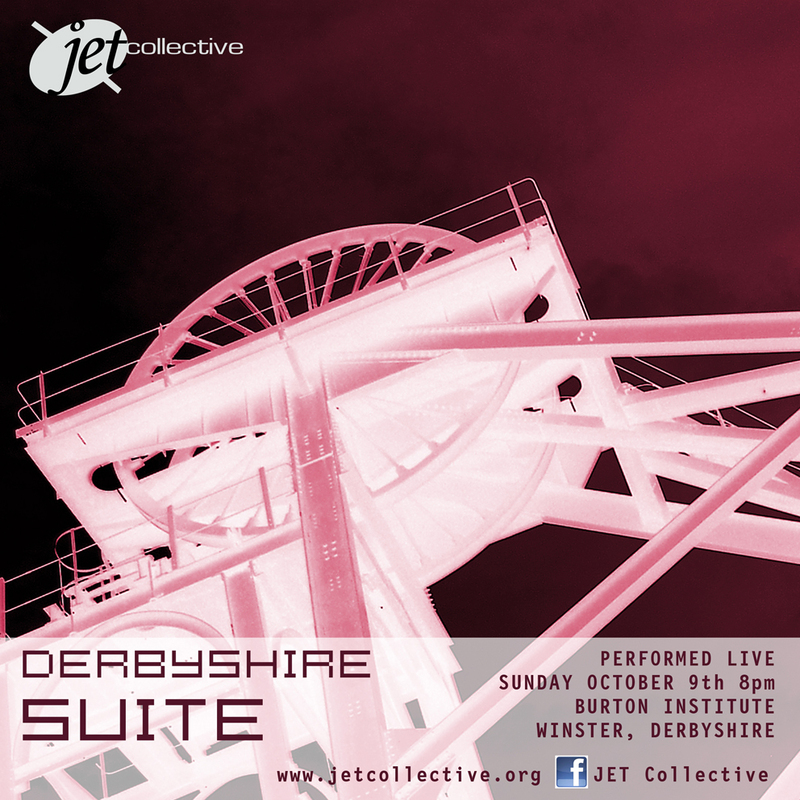 The Derbyshire Suite, inspired by Derbyshire landscapes, was first performed in June 2011 by The JET Jazz Collective in Stanton in Peak and received a standing ovation. The musicians now plan to develop the Suite and to add some new pieces. The music, with titles like ‘Storm over Derbyshire’, ‘Derbyshire Jig’, ‘Mills and Hills Mines and Moors’, draws on various styles and it all has a strong jazz influence with improvisation an important component. The eight musicians who recently formed JET Collective want to find new ways to create and perform their music and new venues and audiences to perform to. 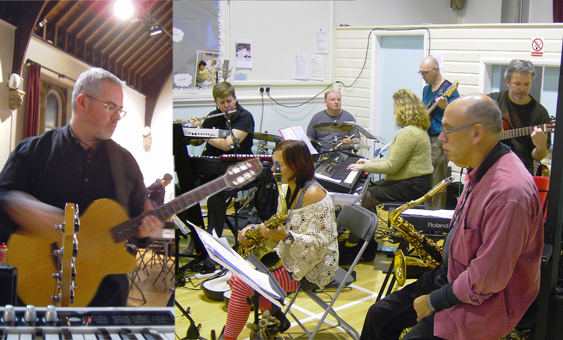 The musicians, all from the East Midlands, who had never played together previously, met in July 2011 for a weekend. They created eight new pieces of music. Not knowing what they would produce, they jumped in at the deep end and arranged a public performance for the Sunday evening. Fortunately this was a great success and the collective got an ecstatic reception with standing ovations. One young music lover said this was possibly the best thing he had ever heard. The musicians come from various musical backgrounds, all having jazz as a common love. Karen Clegg’s voice is dark and smoky, Steve Salfield and Sara Littlefield are both fine expressive sax players. On keyboards Wendy Kirkland and Paul Biggins both play brilliantly and bring different interpretations. Reg Clegg and Pat Sprakes both double on guitar and bass. Reg brings a strong funk and blues influence while Pat is a jazz guitar virtuoso. Clive Loveday is a wonderful jazz drummer who has a rare ability to listen and interact with the harmony and melodies.